Part 1 – Understanding what is Resilience. We are all well aware that we live in a world of disruptions and distractions, with daily twists and turns in the social, political and economic environment. The speed at which events and breaking stories unfold is a true testament of how interconnected the world really is. The geo-political and economic events that surround us, are a constant stream of disruptions hat can lead to distractions. The recent hefty tariffs imposed on Turkey, may have a major impact of immediate distractions and disruptive consequences. As we are in the European holiday season, the reality may not have yet fully hit home. We could expect a wide spectrum of businesses as well as financial institutions affected by this occurrence. Was this expected, could it have been predicted and how do you prepare for it? Which brings me to the question of Enterprise Resiliency. This topic is frequently underestimated and is only appreciated when a crisis or unexpected disruptors strikes an organisation. Even then it seems that an approach of “every-man-for-himself” tends to prevail. And often tackling the remedial actions occur in isolated pockets of effort and focus. Maybe this is because it is believed that resilience is only associated with disasters and the recovery of an immediate and singular perimeter. Without the consideration of other factors that surround the reality. I recount the massive earthquake that hit the 3 towns in Italy just a few years ago. No one was prepared. Yet the resilience of everyone around the tragic scene both from the vicinities and beyond, was remarkable – with speed and positive responsiveness. “the capacity and ability an organisation has to recover quickly from a difficult or tough situation & return to its original or stable state of operations”. There are other variations to this definition but the operative meaning is constant – it is the inherent capacity and ability within the organisation that enables the controlled normalisation of business operations in the shortest possible time after the occurrence of significant disruptive elements. It is therefore logical to say that the proof of Enterprise Resiliency could be measured in the time it takes to restore an organisation’s capability to function in a manner that delivers the desired business performance. But the key question is how does one know if their Organisation has the capabilities to render it Resilient before a crisis occurs? There are no clear indicators or easy tests of how to gauge enterprise resiliency. This is because enterprise resiliency does not only deal with the physical aspects. But more importantly deals with enterprise culture and people mindset, not least the enterprise leadership. And these are the challenge we face, when dealing with interdependent tangible and intangible factors. That when combined, give that ability to return quickly to a normalised state of profitable or non-loss making operations. The challenge is therefore to understand that resiliency, is not only about defending risk. It is about minimising the impact of vulnerabilities. And it is crucial to note that sometimes vulnerabilities could result in Risk, if they are not properly contained. So knowing your position of exposure & risk is the most logical starting point to assess the business state of resiliency of an organisation. There are no leaders nor organisation, that relish the though that they could be exposed to vulnerabilities. Like it or not, we are all faced with such exposures. But knowing what they are and understanding how they arise, is a fundamental task of identification and assessment. Vulnerabilities are effectively weaknesses that could harm the business and operational harmony, should there be abnormal interference in the business workings. The identification process is an in depth analysis of what could disrupt the business continuity with the consequential impacts that could ensue. This is a deep searching process that probes into the heart of the organisation’s workings. It is something that needs to be done seriously and the findings must not broadcasted beyond very limited and trusted people. The assessment process is to rank the identified weakness and exposures in some form of priority of disruptive impacts. This can in itself be a major challenge, as the timing and conditions of disruptions could be subject to different causes and conditions. But in making such an assessment it will be necessary to set-up some assumptions to enable the completion of an assessment model. The model can be re-used and adjusted accordingly once the model takes shape and tested with the variable conditions. The identification and assessment process needs to be driven in a very confidential but realistic manner to ensure that right results are achieved. The people entrusted with such a task, need to be also well versed with such assessment methodologies. As soon as some firm results have been established, the next phase will be render the organisation, its processes and workings more robust. This is a stage that is necessary before tackling the question of resilience. 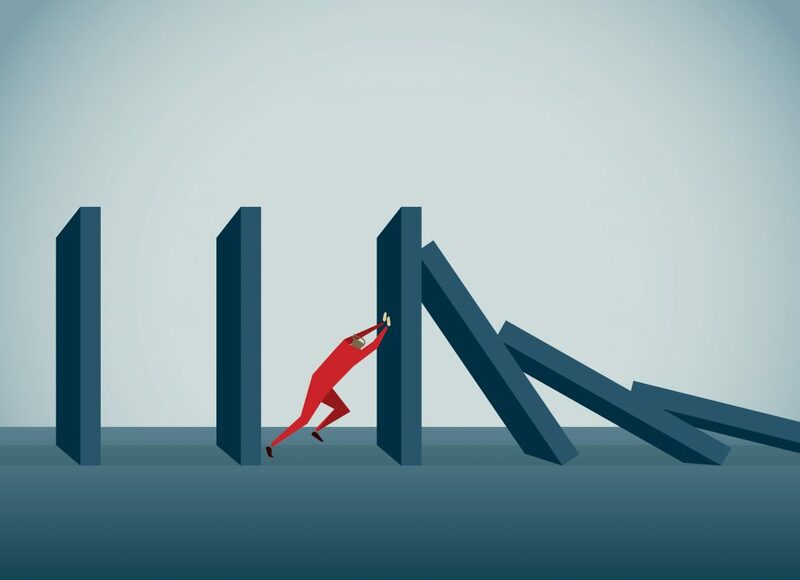 Many organisations need to attain robustness of their business operations and financials as the fundamental building blocks towards resiliency. 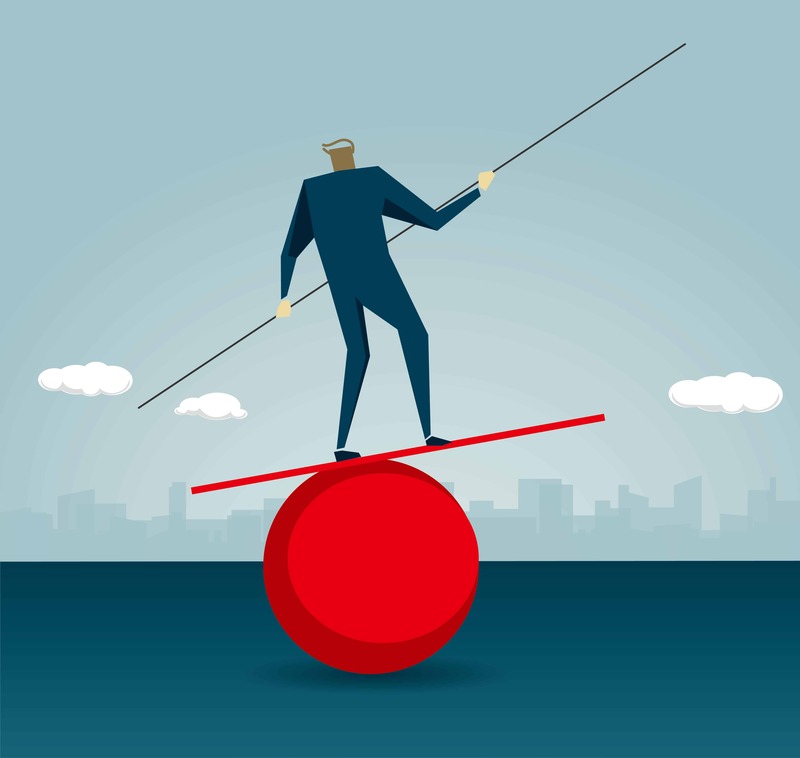 Robustness and Resilience – how do they differ? Understanding resiliency is an important fundamental and that has to be aligned within the organisation being assessed. Often resilience is confused with robustness. This is a common mistake, and could also be a very costly one to make. Robustness and Resiliency are not same thing. The differentiation between the 2 conditions are very important. Firstly, Robustness deals with the Known Conditions where a process is already in place, procedures are installed to govern the policy and metrics are defined to measure and control the process. In addition the degree of robustness can also be tweaked as conditions change and as the organisation’s strategies are updated. As for Resiliency on the other hand, deals with the Unknown Conditions which are not prevalent in the daily business life. These are often disruptors that could be foreseen in some form. But never in a complete dimension where a defensive plan can be formulated in advance. Another key factor is the timing and intensity of a disruptive occurrence which is often not known or clear in its form. The comparison table also illustrates some of the key differences in the approach needed to deal with Disrruptions & Distractions. This understanding can define the degree of enterprise resiliency that one can achieve. When dealing with the unknow, it will be necessary to make some assumptions of the possible scenarios that could create a disruption to the business and to its stability of operations. 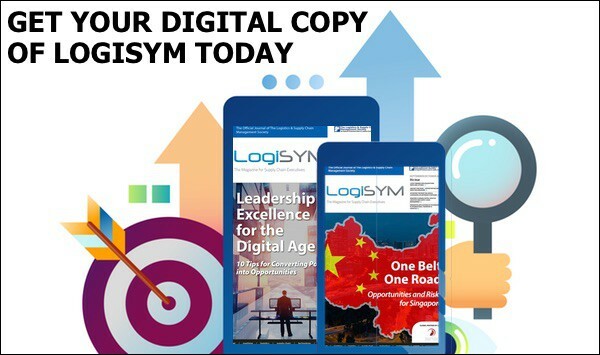 Disruptions, Distractions and Robustness – how they all interplay? Any sort of disruption to business continuity, can upset that balance and harmony in the Enterprise. It is well know that following any kind disruption, it is common to have distractions ensue and possibly throw people into confusion. As this is a normal pre-emptive state of events, it need to anticiptaed and well managed. It is for this reason that the Robustness of an organisation’s systems, processes and people behaviour are very important. When an organisation’s machinery and workings are well oiled, they are considered Robust. This condition can strongly mitigate the distractions that are caused by the disruptive influences of any occuranences. To clarify a key point. A Robust organisation will not be completely immune to disruptive factors. 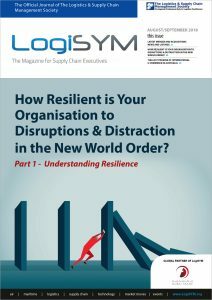 But the degree of an Enterprise Robustness will determine how long an organisation could sustain disruptors and distractions before it can re-organise itself to return the balance and harmony of its normal operations without any major loss of its productive capabilties. This interplay is a very important fundamental is building Resiliency of which Business Continuity Planning and People Competencies are key contributors to Enterprise Resiliency. In the understanding of Resiliency we can appreciate that there is not one single element that creates resilience. Preparing and sustaining for Enterprise Resiliency is about starting the journey by ensuring that the key areas of exposure are firstly rendered robust in normal operations. This will create a strong platform from which the defensive strategies can be built. This is crucial to ensure business continuity plans and enabling the restoration of operational robustness, is achieved in the shortest possible time horizon. The review and assessment methodology has to be deployed throughout every functional department within an organisation. To use a well known cliché, “an organisation is only as strong as its weakest link”. For a CEO or Business Entrepreneur, the need-for-change is a very likely and necessary step for their business development and sustainability. However starting a journey of transformation within their organisation can be hugely daunting. 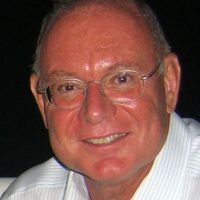 Founder of ESP Consult, Joe Lombardo, has co-authored & published several papers to show how an integrated Adaptive Supply Chain Business Model can work for you. This introduction to Enterprise Resiliency, illustrates that it is not as complicate or as expensive as it may seem. But the rewards and benefits will be significant. ESP Consult has used this model to facilitate and successfully implement Adaptive Supply Chain driven organisations. For those involved it has been an enlightening and motivating experience. Founder of ESP Consult, Joe Lombardo, has advised CEOs on change management through a supply chain focus. The need-for-change is a likely and necessary step for business development and sustainability. However starting a journey of transformation within an organisation can be hugely daunting. This introduction to a transformational journey, illustrates that it is not as complicate or as expensive as it may seem. But the rewards and benefits will be significant. ESP Consult advises on structuring the model to facilitate and successfully implement on Adaptive Supply Chain driven organisation. For those involved it has been an enlightening and motivating experience.